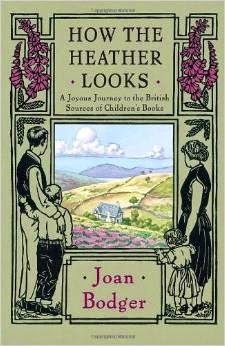 A friend (QOC) recommended How the Heather Looks : A Joyous Journey to the British Sources of Children's Books to me once she heard that our family is planning a trip to England next year. I mentioned that I was having a hard time deciding where to go when we're over there. She told me to stop trying to plan until I read this book and so I obeyed her and promptly ordered it off Amazon. According to notes from author Joan Bodger at the end of this book, it was first published in 1965 but went out of print fairly quickly. She heard stories of children's book librarians stealing their library copy at the time of their retirement. Friends would borrow this title from friends and conveniently fail (or outright refuse to) return it because it was so well loved. To war against the raging tide of sin, the book was republished in 1999, removing any need any person might have to steal this book out from under the noses of other readers. There are plenty of copies to go around now. With a few high recommendations and a book that spoke so highly of itself, I dove on in. Please remember that the purpose of my reading was to help me make some decisions about where we should go when visiting this glorious country, so rich in literature. Did the book help me with my mission? No. Not really. In part, it failed because it didn't offer as much specific information as I was hoping for (i.e., "Go here; see this."). Then, Bodger meanders around England. Chapters aren't clearly divided into discussions of particular authors and locations as I expected they would be, based on chapter titles. Arthur Ransome mixes with Beatrix Potter, and Robin Hood gets mixed in with Robert Louis Stevenson, etc. But then that's really hardly surprising considering the size of the country and its beautiful landscape. Perhaps because I was not expecting the mishmashed approach, I found the book moderately un-useful in selecting locations to visit. However, from the perspective of offering inspiration to live in England for the rest of my natural born days, well, this book was incredibly helpful. How the Heather Looks documents the Bodger family trip to England where traveled as a family (mom, dad, two kids) specifically to explore the world of children's literature. They wanted to see where Caldecott got his inspiration and boat down the same river as Ratty and Mole. They wanted to play Pooh Sticks off of Pooh's bridge and find the Enchanted Forest for themselves. These are all lofty and reasonable goals, of course! It sounds delightfully fun. They share of their challenges and successes in locating places that were familiar to them through books and described a world (back in 1950's) that I'm pretty sure no longer exists. Some of the things that they were able to do modern readers and travelers can no longer do. For example, Bodger interviewed Aurthur Ransome (no longer living) and visited Mrs. Milne in the Milne home (also very much no longer possible). It's very cool to read of their travels but it also served to make me insanely jealous. Still, to suit my purposes in reading this fine book, I did gather up some titles of other books to read at Bodger's suggestion. My Amazon list grew exponentially thanks to her. Pooh Bear hadn't yet landed on my map of Places to See until I read this book and then he was added post haste. (How could we skip meeting him in his world?!) Now we can look forward to playing our own game of Pooh Sticks. I'm excited about that. As mentioned, at the conclusion of the book there is an updated note from the author. In this note she shared that a year after the Bodger family went on this incredible literary adventure, she and her husband divorced. Their little family seems to have fallen apart in bits and pieces post-travels, something I find incredibly sad. Whether they went on this trip as a family to try to preserve family, I have no idea. (That would classify as mere speculation.) Please let me assure my readership here that Jonathan and I are not planning to go to England in an effort to hold our family together but simply to create beautiful, lasting memories with our family. 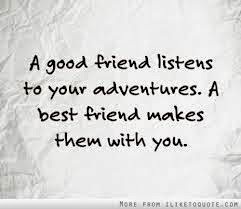 We go for the adventure of it all! So I think we're already ahead of the Bodgers although I thank them for helping us "set the stage" to go forth and have fun. I also found the fact that they divorced SO SAD. :( I really loved this book! Carrie, I read this book before we went to England/Scotland. I loved all the literary references. The updated note bummed me out for a week. So sorry their family didn't stay intact. This sounds like a lot of fun. I'm so sorry the family broke up.